Pregnancy is pretty bittersweet. Of course, it’s amazing and it means that you’re closer to welcoming a beautiful baby into the world. But, it also means that you’ll experience hormonal changes, bodily changes, some bouts of morning sickness, and a lot of mood swings. There’s no denying that being pregnant is hard. While we’re not claiming that these 18 hacks will make it a total breeze, we know that they’ll definitely help you out a lot and get rid of some unnecessary hassles. You’re welcome in advance! When you’re pregnant, there’s a lot of stuff you have to do in order to prepare for the baby. But, sometimes it’s overwhelming or it’s physically challenging for you to do everything you need to do. Thankfully, the one question that many pregnant women get asked often is, “Is there anything I can do for you?” So, the next time you’re asked, be prepared. Keep a list of things handy that you need help with. As soon as something comes up, write it down so that you won’t forget. It could be something as small as having diapers stocked or something bigger, like installing safety gates around the house. Remember, it’s perfectly okay to accept help, especially when you’re pregnant. You’ll be glad you did. As your baby bump gets bigger, it becomes harder and harder to cover yourself up. You may find yourself buying a bunch of new, longer tops or layering so that your belly doesn’t poke through for the world to see. But, we have a great solution for you! Instead of packing on multiple layers, which may make you sweaty and hot (and not to mention, totally miserable), you can make your own belly band. It’s actually really easy to make and looks super cute! It looks like you’re wearing a tank top under your top, but it’s actually just a piece of fabric. You can also use it if your pants are too tight and you need to cover up the fact that you unbuttoned them! The step-by-step instructions can be found here. When you’re pregnant, leg cramps (among other things) are an unfortunate reality. They’re caused by the additional weight from carrying around a baby, changes in your circulation, and pressure that the baby may be placing on your nerves and blood vessels that go to your leg. How can you avoid these annoying cramps? Potassium and electrolytes! You can get these from eating bananas regularly and drinking lots of special electrolyte-filled water (which is recommended instead of sugary sports drinks). If you consume these two things, you shouldn’t get any leg cramps. But, if one happens to creep up on you, you should get up right away, stretch and massage the affected muscle. This will stop the cramps and allow you to get back to your day. Appointments: we all hate them. One reason appointments are so annoying is that they’re often at a really inconvenient time. Another reason they’re annoying is that we forget about them and may end up having to pay a fee or go through the hassle of re-scheduling. Appointments should be the last thing you’re worried about when you’re pregnant. So, make things a little easier for yourself by pre-booking all your appointments the first time you go in. That’s right; just schedule them all, even through your due date. This way, you’ll have dibs on the times that are convenient for you. Just be sure to set frequent reminders (at least a day or two ahead) in your phone’s calendar or planner so that you don’t miss them! Coconut is good for so many things, from cooking to beauty hacks and more. Drinking coconut water can actually help to prevent those pesky leg cramps (since it’s loaded with electrolytes and potassium). It also prevents dehydration (which is something you definitely want to avoid when you’re pregnant as it can be harmful to you and your developing baby). Rubbing coconut oil can also help with getting rid of stretch marks (and making your skin silky smooth). In addition, consuming coconut oil and other coconut products can be beneficial to your baby. 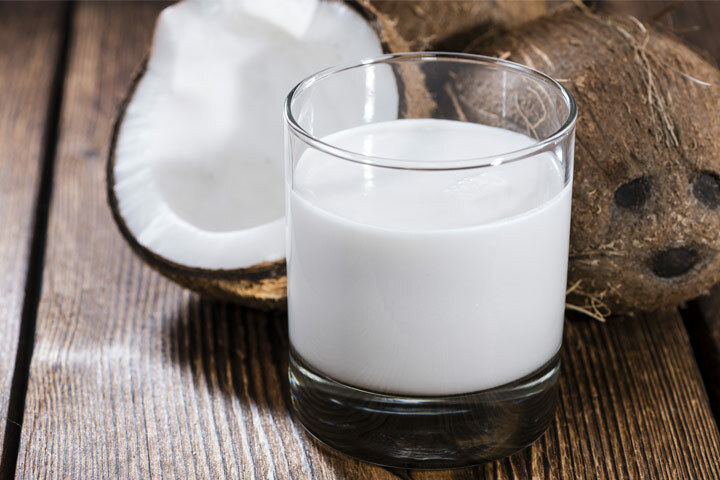 When you consume coconut oil, the amount of lauric acid in your breast milk will increase. Lauric acid is already present in breast milk and has antimicrobial properties. This is important because your baby’s immune system doesn’t fully develop until they’re six months old, so the lauric acid provides protection against viruses. When you’re pregnant, your feet can suffer a lot. All the extra weight that pregnancy brings along can make your feet hurt and even cause them to swell. So, you need to invest in a good pair of shoes. And stilettos are a big no-no. High heels can cause your back to arch and you don’t need it to arch any more than it already will due to your baby. So, go out to the mall and spend your time looking for a good pair of flats before you suffer a meltdown from trying on all your shoes and realizing that none of them fit. Look for shoes that will stretch a bit and has a good support for your arch. The best ones are ballet pumps, flats with an insole, and even those orthopedic shoes (although they may not look so chic). When you’re pregnant, chores and errands are the last thing you want to do. And your feet and back may be hurting you, so going grocery shopping (and having to lift those shopping bags to your car and your house) can only make it worse. But, you (and your developing baby) need food! So, instead of breaking your back or bugging your other children or your partner to help you, treat yourself to a few months of grocery delivery straight to your house! 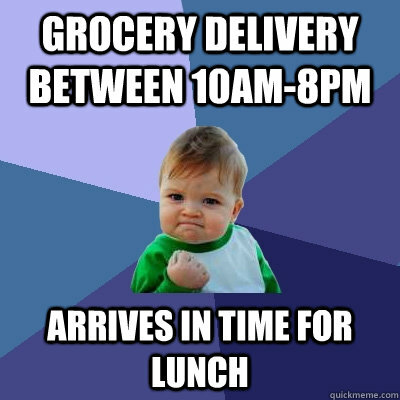 There’s a website called yourgrocer.com that delivers groceries within the New York City area for under $10. There are also a bunch of other online grocery shopping websites and options that may be offered through local grocery stores and companies that are worth looking into. It’s something you probably don’t wanna think about, but it’s likely to happen at least a couple of times when you’re pregnant—puking. So, instead of finding yourself in a mess (literally) while you’re out in public or in your car, be prepared. Although you can’t control the exact moment that you’ll puke, you can at least have a few things handy by packing a puke kit and bringing it with you everywhere you go. That way, you won’t be totally inconvenienced. Some of the essentials to keep in your puke kit are: a toothbrush, toothpaste, mouthwash, plastic bags, wet wipes, and an extra shirt. You can put all of these items into an extra purse, re-usable grocery bag, or even a cute makeup bag. You’re probably aware that things can get ugly when you’re pregnant. And by that, we’re referring to your hormones and the emotional wreck that they will sometimes cause you to become during (and maybe even after) your pregnancy. Instead of erupting unexpectedly on your family and friends (who may or may not deserve it), prepare them. Do this by sitting down with them and collectively choosing a safe word or phrase. This word or phrase will let them know that you’re about to reach your boiling point, so that they can just leave you alone or be extra cautious around you. If you don’t do this, you could find yourself screaming at the people who are there to support you, over something completely trivial. And you don’t want that happening, do you? Unfortunately, babies do get sick and become uncomfortable often. When your baby arrives, you don’t want to be running all over the place looking for things to help them adjust or feel better (things will already be stressful enough). So, it’s wise to buy all the things you’ll need beforehand. Prepare yourself by packing an infant first-aid kit before the baby arrives. Fill a box or bag with things like gripe water, thermometers, antihistamines (as recommended by a doctor, for allergic reactions) calamine lotion, nose drops, cotton swabs, and infants’ acetaminophen (as recommended by a doctor, to help relieve pain). You can find a comprehensive list of more things to add to the kit here. Trust us; you’ll feel a lot more relaxed knowing that you have these things nearby. Who says you can’t be primped and polished (literally) when you’re pregnant? There are tons of examples of expecting mothers who look amazing and all dolled up, especially in Hollywood (see Kim Kardashian and Kerry Washington). But, you don’t need to be a celebrity to look dolled up while you’re pregnant. There are tons of cute maternity clothes and chic, comfy shoes you can wear. On top of that, you don’t need to forego nail polish. Though regular nail polish and nail polish remover has chemicals that can be harmful to you (and perhaps to your baby) during pregnancy, there are safer alternatives. There are companies (such as Knocked Up Nails and Zoya) that make chemical-free nail polishes and nail polish removers. They’re definitely worth checking out! It’s well-known that swelling is a normal part of pregnancy and you’ll likely notice it during the second trimester. Your body swells because extra retention of fluid is needed to help soften and expand the body, in order to cater to your growing baby. You’ll probably notice your feet growing bigger and your shoes feeling a bit snug. You’ll also notice your fingers getting bigger and your rings feeling tight. Instead of hiding your ring away in a drawer for months, you can show your love for your partner (or your love for fashion) by wearing your ring around your neck on a chain. Do this before the day comes when your ring starts feeling so uncomfortable that you just want to rip it off and throw it out. Puking is expected when you’re pregnant. But, there are some things that you can do to try to prevent it from happening. Pack a puke prevention kit, filled with things that will make you feel less queasy, like a pleasant scent that you like (perhaps a minty body spray), lollipops, ginger altoids, and crackers. Ginger is a well-known natural treatment for nausea and it’s safe for use during pregnancy. But, sometimes the taste of it can be too strong, so trying ginger altoids (or ginger candies) may work instead. Crackers are also useful because they’re high in starch and help to soak up stomach acids and settle your stomach. Lollipops have been praised by pregnant women for helping to ease their nausea; it may work by allowing sugar and fluids slowly into your stomach, settling it. Keep the kit near your bed and have it on you when you go out. When you’re pregnant, it suddenly seems like a lot of things are out of your reach. It’s probably not the best idea to jump up to reach that bottle in your cupboard and it’s uncomfortable to have to bend down unnecessarily to pick something up. Instead of having to constantly ask for help, make those kitchen tongs your new best friend. Scatter a bunch of them around your house, so that you’ll have them within your reach when you need a little assistance picking something up off the floor. The great thing is that they’re cheap and won’t tell you to “hold on.” You may not want to show up at your local grocery store with a pair of tongs to grab stuff off the shelves, but feel free to use them at home. Exercise is a great way to deal with stress, but when you’re pregnant, it may be hard to find a safe type of exercise that you actually like. One recommendation is Tai Chi, a form of Chinese martial arts that has a lot of health benefits. Tai Chi involves slow, gentle movements and deep breathing, making it the perfect exercise for a pregnant woman. Tai Chi helps to tone muscles (without straining them), improves blood pressure, builds arm and leg strength (which you’ll need to carry your baby), promotes correct body posture, and makes you feel better about yourself. You also don’t need any extra equipment for Tai Chi, so you won’t be spending any extra money it and you can practice it anywhere! Have you ever seen athletes wearing brightly-colored tape? It’s called “Kinesiology tape” and it’s used to prevent and treat injuries. But, did you know that you can also use this special tape when you’re pregnant to help relieve discomfort? The tape can help to promote blood circulation and relieve pressure on pain receptors. When you’re pregnant, it’s common to have pain in your back, lower abdomen, and pelvic area. The tape makes for a safe, drug-free alternative. Simply place the tape on your back or abdomen to quickly relieve your pain. Make sure that your skin is clean and dry before you put it on. To remove it, use baby oil. Check out this blog to see some different ways of applying the tape. Why spend a ton of money on new maternity clothes when five of your closest friends just had a baby? Seriously, you’ll only be wearing them for a few months anyway (and some of them, you’ll only wear once or twice before your belly grows some more), so just ask your friends and family to borrow theirs. Chances are, they were going to donate them or throw them out. So, you might as well do some good and re-use. There are even websites (like minefornine.com) that allow you to rent maternity clothes for special occasions, instead of spending your hard-earned money on a dress that you’ll literally wear once. But, it’s not just your female friends’ clothes that you should borrow! Borrow your husband’s buttoned-down shirts; they’re big, comfy and he (hopefully) won’t mind. Being pregnant can bring about back and muscle pain, as your body isn’t used to carrying around all the extra weight. Consuming enough calcium and staying healthy is very important at this time. Drinking milk on a regular basis can help you to meet your calcium requirements and will keep your bones strong, easing your back pain. Drinking milk is also good for your developing baby’s tissues and overall health. The vitamin D and protein from milk helps to prevent low birth weight and neonatal rickets. Additionally, if you’re not a water person, drinking milk can help you to stay hydrated during pregnancy. Staying hydrated during pregnancy is important for your developing baby and as it helps to reduce swelling and constipation. It’s recommended that you drink three cups of milk per day while pregnant.